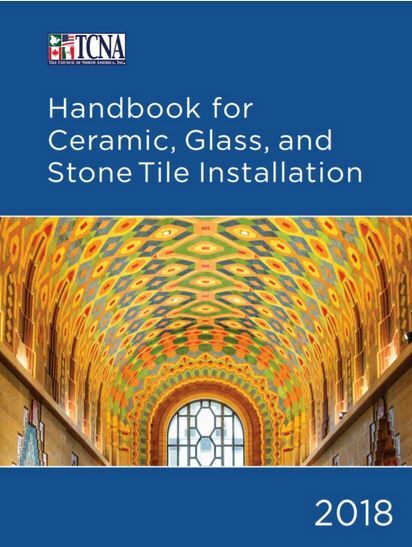 The 2018 TCNA Handbook for Ceramic, Glass, and Stone Tile Installation is a guide to assist in clarifying and standardizing installation specifications for tile. Each installation recommendation, or method, requires a properly designed, constructed, and prepared substructure using materials and construction techniques that meet nationally recognized material and construction standards. Included are: product selection guides for ceramic, glass, and stone tiles; guidelines for wet areas; ISO mortar and grout specifications; information on substrate flatness requirements; information on grout joint sizes and patterns, and workmanship standards excerpted from ANSI installation standards.